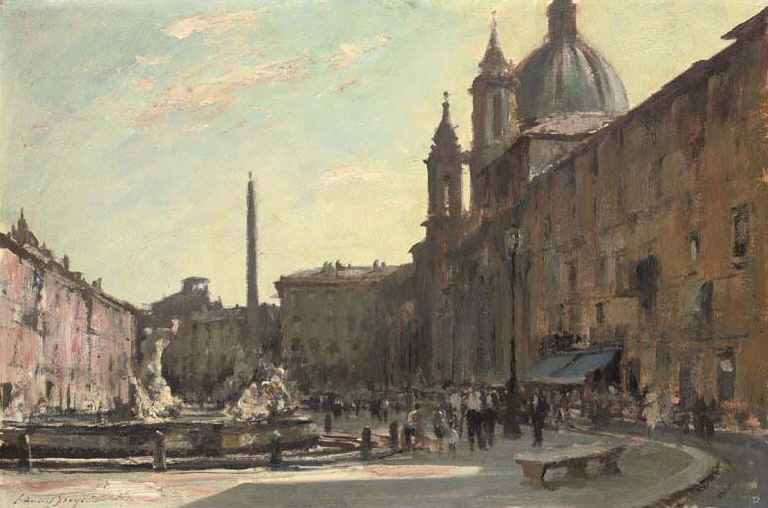 There is an immediate recognizable freshness and spontaneity to Edward Seago’s work whether it is in his oil or watercolor paintings. His landscapes posses an astonishing sense of place, retaining an essential mood and atmosphere, certainly particular to that location. 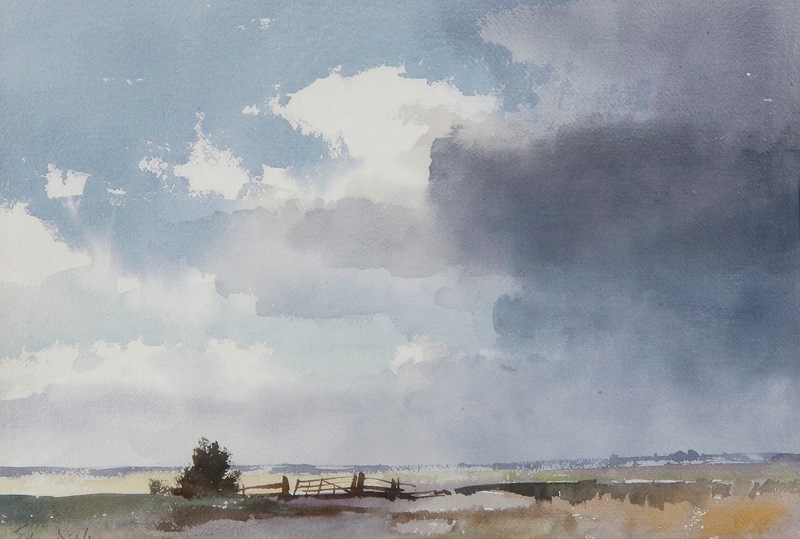 His directness with watercolor and oil painting make it look simple, distilling down elements to only that which is important to tell the story. 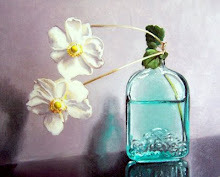 His work can become very abstract and still convey a truthful sense of realism. Any painter who has tried to find this balance will tell you these works are inspirational in vision and skill. 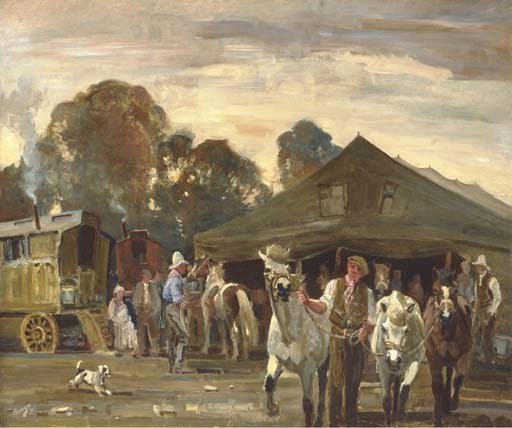 Strong draughtsmanship and expressive brush work are trademarks of Seago’s work. 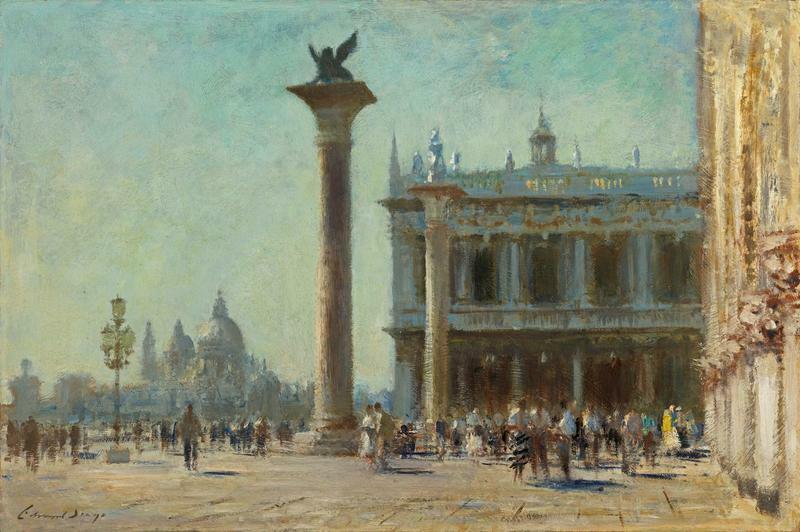 Seago’s paintings present a masterful translation of scenes using color and light. Capturing the atmosphere rather than exact detail of a particular scene. 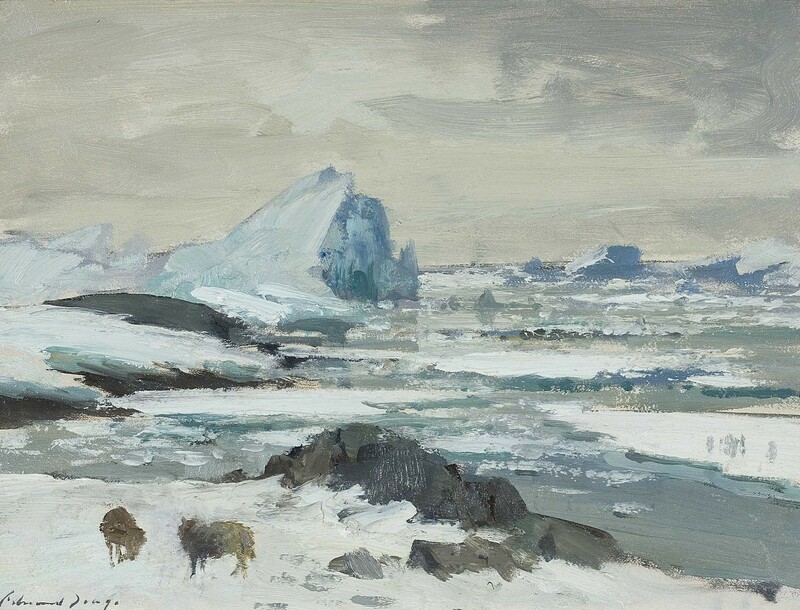 Seago’s world is always on the verge, at some point of transformation, sunrise and sunset, dusk and dawn, rain and fog, snow and ice, mood and movement, an endless range of atmospheric effects. They make you want to walk into the picture and feel the moment. 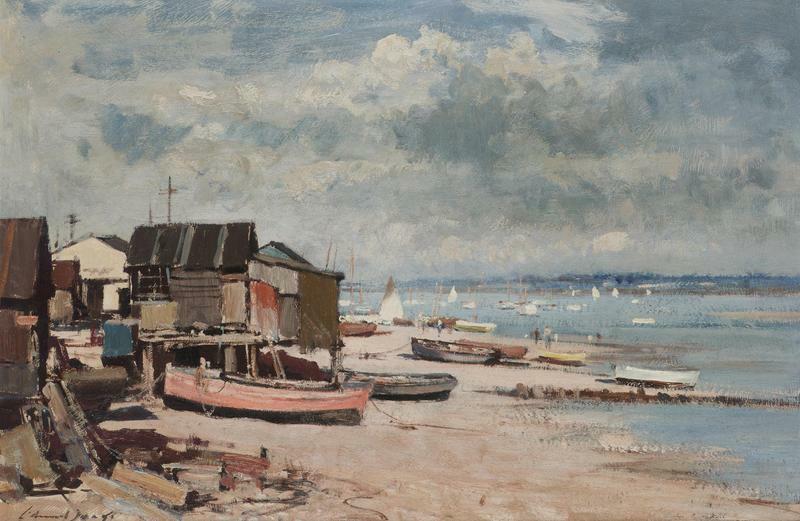 Seago lived very a interesting life, which just adds to my admiration of the work and the man. As a young boy, Edward Seago suffered from heart problems and spent much time in bed as a result. He later said he used this time for drawing and studying the sky, and that this was the start of his lifelong fascination with clouds. At fourteen, he won an award from the Royal Drawing Society, and from then on knew what he wanted to do in spite of his parents' initial disapproval. 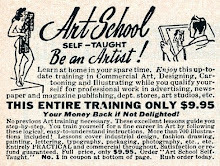 His poor health prevented a normal education and he was largely self-taught. 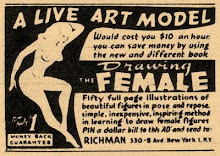 However he did forge some lifelong relationships with some prominent artists of the time. He was an apprentice to the landscape artist Bertram Priestman and studied briefly with the artist Sir Alfred Munnings, one of England's finest painter of horses. Seago’s earliest pieces were equestrian paintings and he became very popular for these portraits of aristocrats on horseback. These social and upper class connections would lead to significant patrons and benefactors throughout his life. At the age of eighteen, Seago joined Bevin's Travelling Show (yes, he joined the circus) and subsequently toured with circuses in Britain and throughout Europe. He wrote and illustrated three books about his experiences, "Circus Company" (1933), "Sons of Sawdust" (1934), and "Caravan"(1937). During his time with the circus Seago met Henry Mond, the second Lord Melchett, who would become an important patron. He provided Seago with the funds to travel Europe painting. During the second World War, Mr Seago managed in spite of his heart condition to join the army and served as a camouflage officer in the Royal Engineers. He was invited by Field Marshal Alexander (a keen amateur artist) to paint scenes of the Italian campaign. 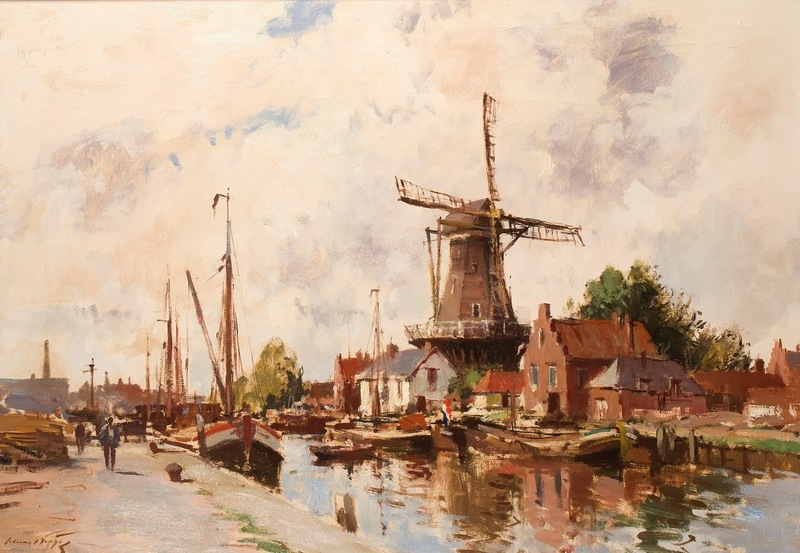 Reproductions of his paintings were published in three books he authored "Peace in War" (1943) "High Endeavour" (1944) and "With the Allied Armies in Italy" (1945). 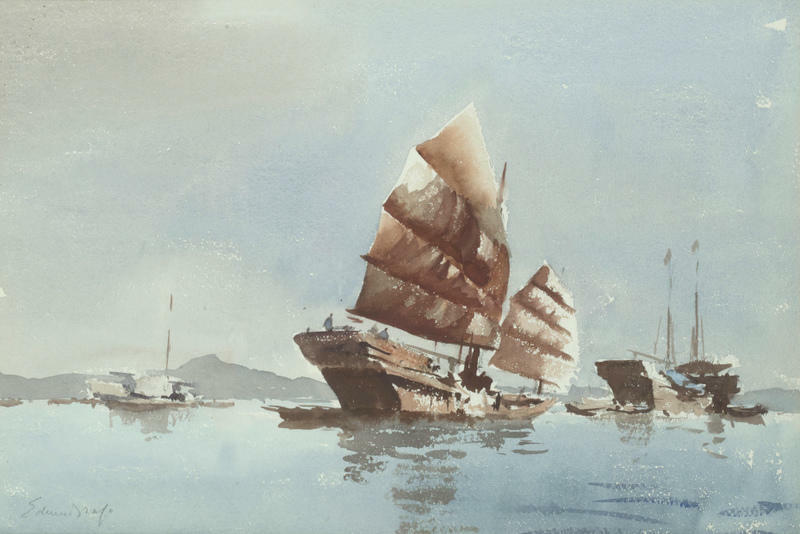 Seago would go on to pen and illustrated six more books on his travels and painting on location. Seago enjoyed generous patronage from numerous members of The Royal Family. 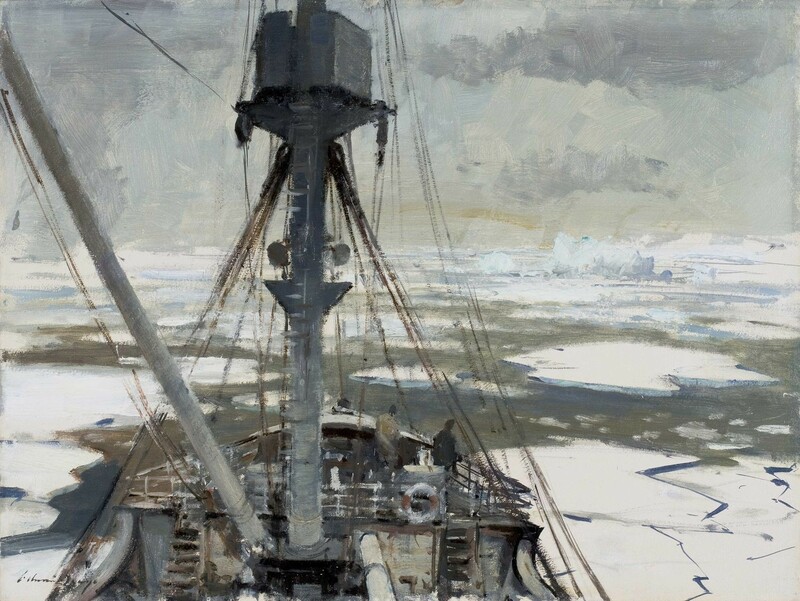 He was one of the official artists appointed to paint the Queen's Coronation and was invited by The Duke of Edinburgh on an expedition to Antarctica. The expedition on HM Yacht Britannia offered him the chance to observe a different light and the completely unfamiliar scenery of icebergs and whaling stations. After leaving New Zealand the ship traveled via Antarctica to islands in the South Atlantic and West Africa. 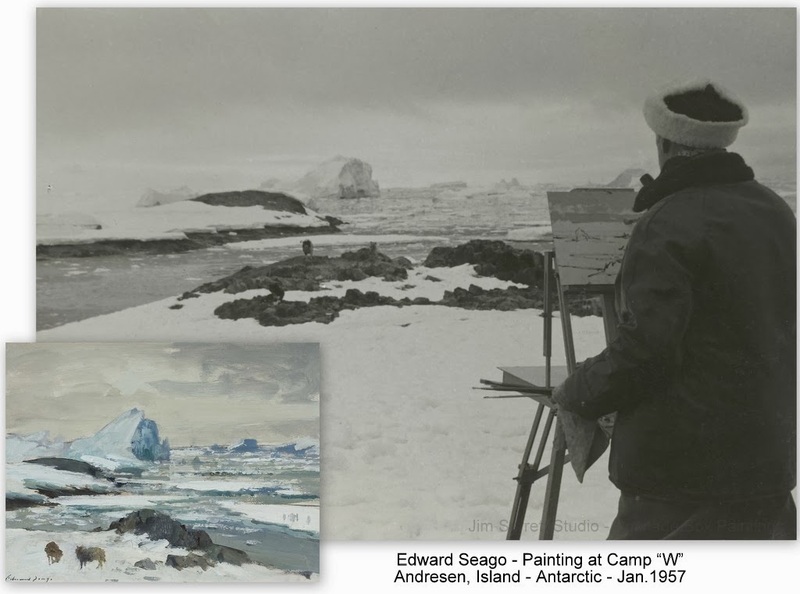 Seago was captivated by the glacial scenery of Antarctica and worked hard during the voyage, painting at least sixty works. Prince Philip and Seago painted alongside each other on the deck of the Royal Yacht Britannia and became close friends. 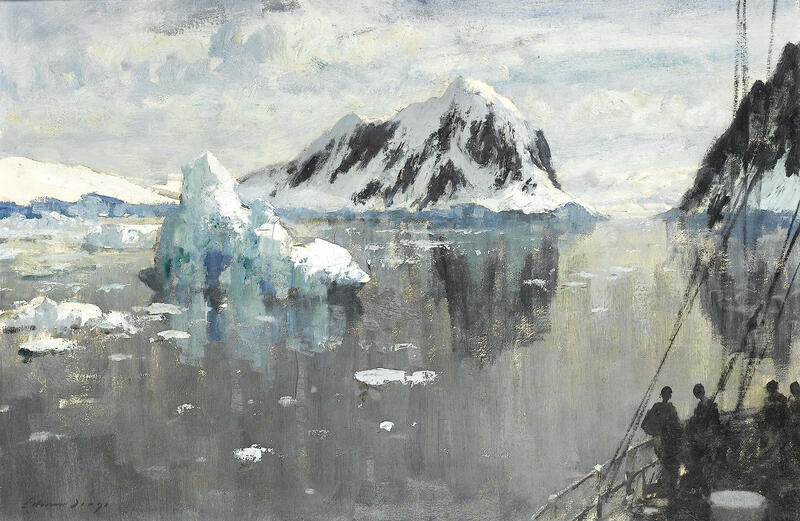 It was a great discovery when I realized that this painting was the one Seago was working on in the black and white photograph of him in Antarctica, you see everywhere online. This made all of my research worthwhile. 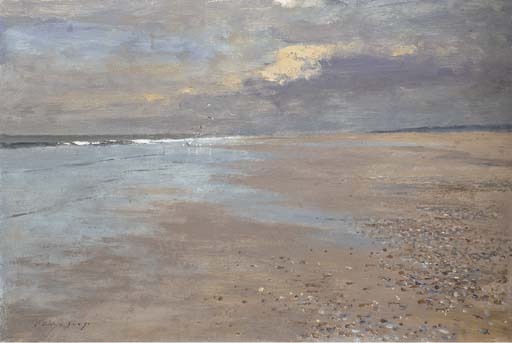 Edward Seago circumnavigated the globe painting and sketching in some of the most formidable and beautiful places in the world, and yet a major part of his work and some of his most admired canvases were painted along the shore of Suffolk and his Norfolk England home. 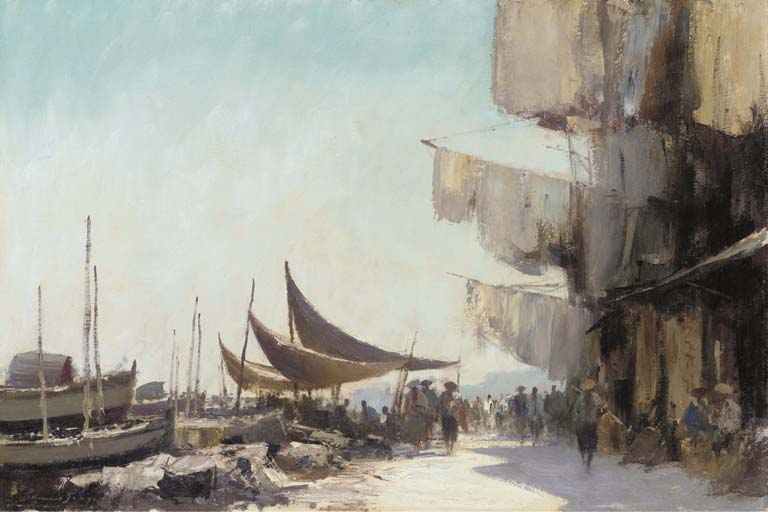 Seago had a very successful career, he was a favorite painter of the Royal family, especially Queen Elizabeth. He traveled widely, often in his own boat, the Capricorn, and painted throughout Europe, Asia, Africa and of course Antarctica, the location of his most famous paintings. 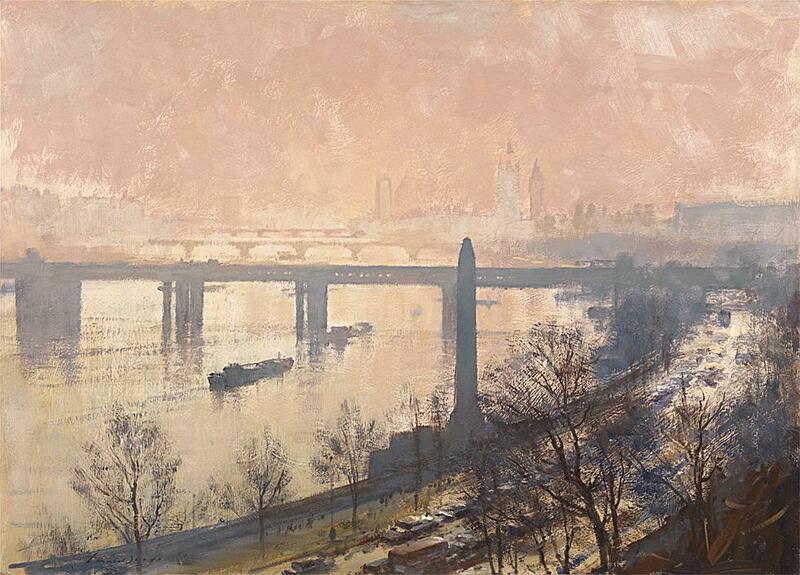 His landscapes were hugely popular and his exhibitions in London regularly sold out within minutes. He was extremely prolific and he painted at lightning speed, producing an enormous body of work. In his will he requested that one third of his paintings from his estate were to be destroyed. 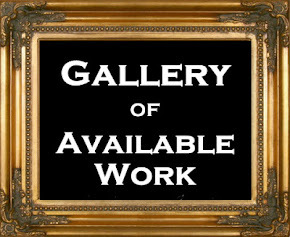 Even so it is calculated that over 19,000 paintings are still in existence today, many in the Royal Collection. 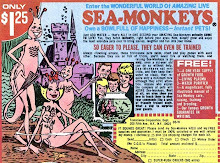 Edward Brian ["Ted"] Seago died in 1974 at the age of 63. 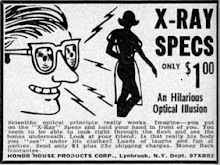 To Best View Work, Click on image to enlarge. 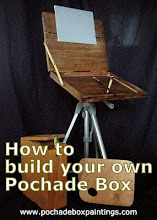 Scroll through all images with light box. 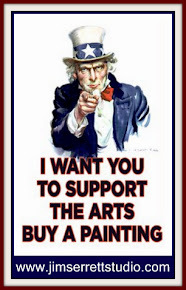 The Estate of Edward Seagois represented by Portland Gallery. Artist Stapleton Kearns has some interesting article on Seago and his technique.